There's No Age To Learn A Skill - SCIP SEWS Vocational Training — Saving Children In Poverty (SCIP) Inc. There's no definite age to learn a particular skill. One could well learn to swim at sixty or to sew at forty. Believing strongly in this, our Women Empowerment Project called SCIP SEWS was started at the Saving Children in Poverty (SCIP) not-for-profit charity. The women -- young and old alike -- wanted to learn something that would make them happy as well as help them to support their families financially. Soon enough two tailors were hired to teach women to sew and stitch. Once the women acquired the basic skills, it was like they had been given a blank canvas. After mastering a few initial stitching projects -- such as making ethical clothing for kids and uniforms for the students at the SCIP ECO (Equality, Compassion, Opportunity) School -- the women wanted to express their creativity. They took an initiative to work on new creative things like file folders, mats, coasters, pouch set, laptop bag, and purses. 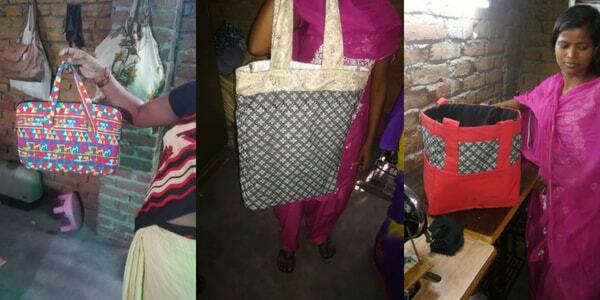 Laptop sleeves and bags being designed at the non-profit charity SCIP SEWS in India. 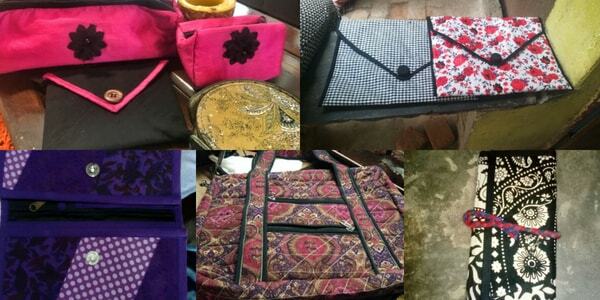 Pouches and purses designed by the talented women at the SCIP SEWS not-for-profit ethical store. 1. 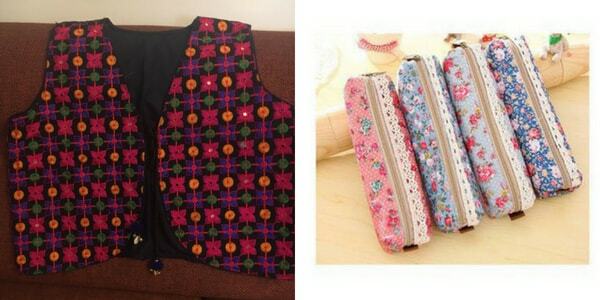 The Women at SCIP SEWS have designed vests for kids, seen below in the left-most pic. It's a traditional attire worn during festivals and marriages in India. 2. In the second pic (from left), you can see a wide range of beautiful pouches. They are used by kids in India to take their valued stationery to schools and colleges. They can carry pencils, pens, erasers, sharpeners, and other geometry and writing tools to wherever they want. 3. Designed in the exotic Indian style, with a focus on using cotton and henna designs with bright and warm colours, you can see chequebooks and passport holder below. Next time you travel to India, make sure to carry your documents in one of these things for an instant connection to the country's long, vivid, and rich culture and heritage.